2018 is a special year for RIGSS as we commemorate our fifth anniversary. RIGSS has been constantly evolving since it was founded in 2013 by His Majesty The King as a leadership institute and a think tank. We started off with our flagship leadership course, the four-week Senior Executive Leadership Program (SELP), and over the years we have launched eight other leadership courses. The latest addition to our programs is the 10-day Leadership Program for Judiciary launched on 18th November 2018. From foundational level to senior executives, RIGSS covers the entire spectrum of professionals from various sectors in its leadership development initiatives. 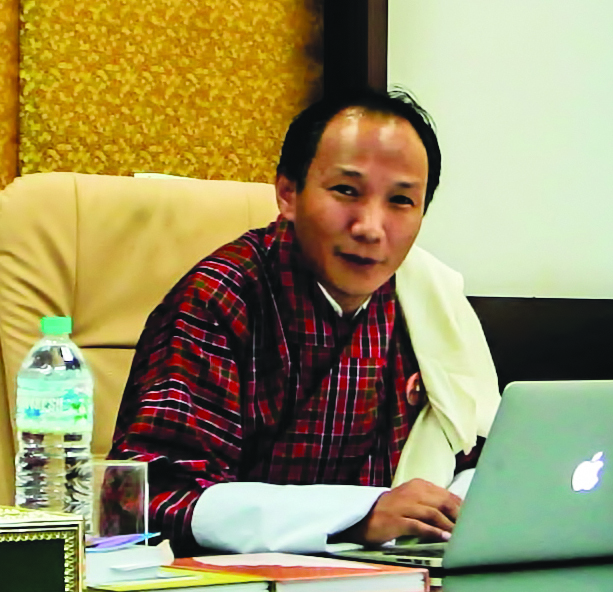 By the end of the year, RIGSS would have trained over a thousand Bhutanese executives and professionals. Given the design of our curriculum, it means that many leaders and potential future leaders would have gained a deeper understanding of our country, our collective aspirations and the likely challenges. They would have also acquired key leadership skills and insights needed to navigate and innovate through difficult situations to achieve their personal development and organizational goals. His Majesty The King has always emphasized that we should leverage on our smallness as a country and use it to our advantage. In light of this inspiration, the prospects of our alumni bringing positive change and progress to our country is real and encouraging. A thousand is a big and impactful number, particularly for a small country like ours. In its pursuit to be a world-class thought leader in policy, governance and strategic issues, RIGSS has also launched its Research Wing. Research works at RIGSS will focus on five key areas of data analysis, foreign policy, national security, emerging technologies and finance, all crucial areas of research that will enable us to provide meaningful input to policy-making and governance. We are particularly excited at the prospects of collaboration with other organizations to work on joint research projects. With continued blessings from His Majesty The King, RIGGS has made consistent efforts to become an institute of a superlative class. Our curriculum, designed on the foundation of knowledge, values and skills are taught by a body of national and international faculty, who are amongst the most qualified and competent. And our institutional and residential facilities are all built to create an ambience most conducive to learning, networking and research. We are living through some exciting times in our country’s history; times that call for deep reflections on our individual and collective roles in nation-building. We invite you to join us in our programs that are designed to help you discover that role and the promise you hold to measure up to it. Welcome to RIGSS, your gateway to transformation.